Chicken and mushroom pie is wonderful comfort food. 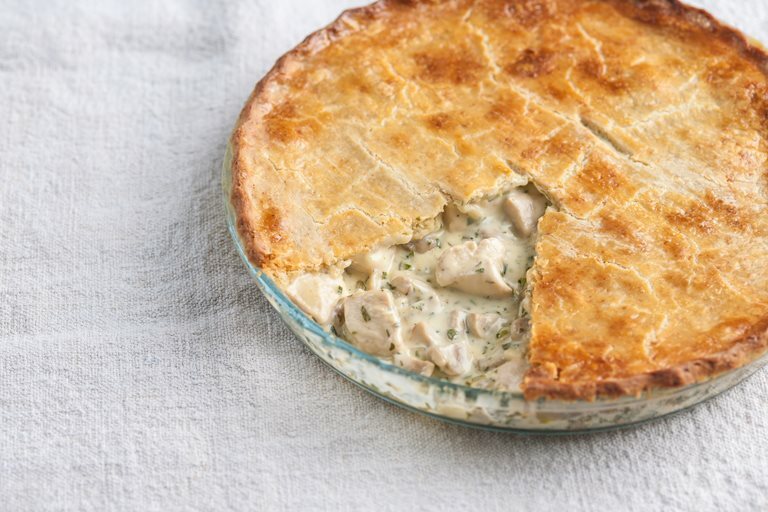 The flavoursome cheddar crust Nathan Outlaw employs makes this chicken and mushroom pie recipe something rather special. Serve this pie with some potatoes, wild rice or salad for a cosy mid-week meal.